Proper maintenance of your HVAC system is a must to ensure maximum indoor comfort for your employees and customers or clients alike. With proper maintenance, your HVAC system will perform more efficiently and reliably, and have a longer lifespan. That translates to dollars saved – dollars that can be directed to your business operations. The following checklist can help ensure that your HVAC system remains in tip-top shape. Make sure that your thermostats are adjusted to meet the conditions and needs of your facility. Properly calibrated thermostats help maintain comfortable indoor temperatures in each room. Thermostats should not be installed in locations that can throw off their accuracy, such as in areas that receive strong direct sunlight. If your company hasn’t already done so, consider investing in programmable thermostats. Programmable thermostats allow ultimate indoor temperature control for each room or area, helping save your company money. 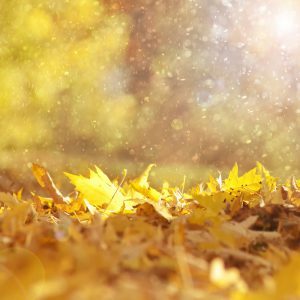 In addition to routine maintenance such as changing air filters, fall is an ideal time to schedule a professional tune up for your company’s HVAC system. A professional HVAC technician can make minor adjustments in your system, such as lubricating and replacing specific parts, checking fuel lines and connections, sealing ductwork, and checking for potentially dangerous carbon monoxide leaks. Fall is also a good time to take an honest assessment of your company’s HVAC system. Did you suffer frequent breakdowns or equipment malfunctions? If so, it may be time to consider installing an entirely new HVAC system. You may hesitate to spend the money, but making this investment now will ensure that your indoor comfort system is ready for the demands of both the colder months of winter and the following summer.